Whether wicked or whimsical, few folkloric figures are as iconic as the witch. 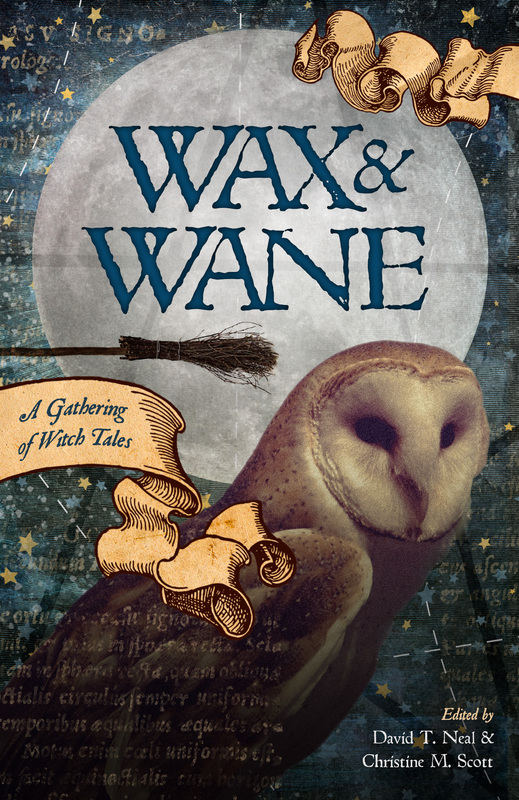 Wax & Wane: A Gathering of Witch Tales serves up 30 spellbinding stories of witches that are enchanting and terrifying, amusing and enticing. Classic or eclectic, fantastical or historical, these witch tales are a literary incantation to delight any fans of witches and witchcraft. The 30 stories in these anthology features authors from America, England, Ireland, Wales, South Africa, and Canada. This brings an international flavor to the book, and gives readers a tantalizing glimpse into how witches are perceived and presented around the world. I love a good story about witches. Whether they’re hunted and endangered as in “The First Witch” by Diana Corbitt or scheming against one another for the great prize of beauty, like in “How to Be Beautiful: A Witch’s Guide” by Megan Neumann, there’s something undeniable about the image of the witch in our collective psyche. She is terrible and powerful, she is not always entirely of this world. My favorite in “Wax and Wane” is Liam Hogan’s “Miscellaneous, Spooky, Weird.” It’s a tantalizingly short vignette on emergency services utilized by witches, and it takes on such a cheeky tone as stand in sharp relief to the typical tales one reads of witches. An urban fantasy that nods its pointy-capped head in the direction of Douglas Adams or Terry Pratchett, this story is like the the lone Dust Buster among the broomsticks; it does the same job but in a very different style. The collection shines brighter in some moments than in others, but the effect of the whole is that of an assembled coven. Witches old and young, haggard and beautiful, face each other over a fire of stories and cast the spell witch tales always have. Their gathering is one you will want to attend.